George Penstone, 96, sits beside his son, Matthew. At one time four generations of the family shared the Penstone home in Aurora. Matthew, his wife, Donna, and George still live there. The number of seniors living in our communities will increase dramatically in the next 25 years. Where will they live? Schofield (clockwise from left) hams it up for the camera; Matt Lavalier sweeps up after cleaning hoofs and re-shoeing several horses. Ferrier and vet visits are frequent to this and other area farms and; Noelle (below) is nuzzled by an older horse at Forever Thyme. signed for retired working or formerly competitive race or equestrian horses as well as displaced or abandoned horses. The farm is not open to the public, but they do participate in local functions and fundraising events, including Doors Open Whitchurch-Stouffville this past June. *Credit is not retroactive. Not valid with any other offer. Offer valid on funeral services and merchandise and excludes disbursements and taxes. **Free Planning Kit is not available by mail. Ask about our IDA rewards cards FREE UNDERGROUND PARKING – ELEVATOR ACCESS 6212 MAIN ST., FREE STOUFFVILLE DELIVERY! event. There will also be an open mic and there may even be visits from York Regional Police and the WhitchurchStouffville Fire and Emergency Services, Ronco said. The event will take place at the dealership located at 95 Automall Blvd. between 9 a.m. to 3 p.m.
Limited time offers available through Honda Financial Services Inc. (HFS), to qualified retail customers on approved credit. Weekly payments include freight and PDI ($1,725), tire & environmental fee ($17.50), A/C charge ($100), and OMVIC fee ($10). Taxes, licence, insurance and registration are extra. Ω Representative weekly lease example: 2017 CR-V LX 2WD CVT (Model RW1H3HES) on a 60-month term with 260 weekly payments at 3.99% lease APR. Weekly payment is $79.00 with $0 down or equivalent trade-in, $730 total lease incentive and $132 individual dealer contribution deducted from the negotiated selling price before taxes. Down payment, $0 security deposit and first weekly payment due at lease inception. Total lease obligation is $20,539.89. 120,000 kilometre allowance; charge of $0.12/km for excess kilometres. PPSA lien registration fee of $45.93 and lien registering agent’s fee of $5.65, due at time of delivery are not included. ^$750 Honda Financial Services Inc. (HFS) Honda Bonus is deducted from the negotiated price after taxes. Honda Bonus applies to retail customer lease or finance agreements through HFS for 2017 CR-V models concluded between October 3rd, 2017 and October 31st, 2017 at participating Ontario Honda Dealers. For all offers: licence, insurance, PPSA, other taxes (including HST) and excess wear and tear are extra. Taxes payable on full amount of purchase price. Offers only valid for Ontario residents at participating Ontario Honda Dealers. Dealer may sell/lease for less. Dealer trade may be necessary. Colour availability may vary by dealer. Vehicles and accessories are for illustration purposes only. Offers, prices and features subject to change without notice. See your Ontario Honda Dealer or visit HondaOntario.com for full details. I didn’t expect to bring Bella with me. Call or visit amica.ca to learn about our enhanced care and support options. Sears Canada announced it is going out of business. Sears Canada announces it’s going out of business ALI RAZA aliraza@yrmg.com Sears Canada is going out of business. The department store was trying since June 22 to find a buyer, but ultimately has been forced to announce a shut down. About 12,000 Sears employees will lose their jobs in the coming 10 to 14 weeks. Three quarters of those 12,000 jobs are part-time and most of the 800 head office jobs in Toronto will be eliminated this week. Sears issued a news release Oct. 10 announcing its decision. It said it will apply to the Ontario Superior Court of Justice for approval to liquidate its remaining stores and assets. "Following exhaustive efforts, no viable transaction for the company to continue as a going concern was received," the news release read. The court will hear the motion on Oct. 13, and liquidation sales will follow at retail locations starting Oct. 19 for one to two weeks. Sears has already closed 59 of its stores. It announced the closure of an additional 11 and all remaining assets will be liquidated on Friday. The closure affects three retail locations in York Region; one in Thornhill (Promenade Mall) and two in Newmarket (Upper Canada Mall and the Sears Home Store at 17700 Yonge St.). WHAT'S THEBUZZZZ? Get inspiralized! Embrace the bounty of the harvest and turn fresh fruit and vegetables into healthy, creative and delicious meals with the Paderno Spiral Slicer. It comes with 3 interchangeable stainless steel blades EACH which give perfect cuts in just seconds. Reg. $41.99 each Also, Linda and Karen are just back from Cortona and have so much to share regarding their experiences and love of food. Cortona happens to be the home town of Frances Mayes, author of - The Tuscan Sun Cookbook and they have decided to base a cooking class inspired by their trip and this amazing cookbook. They will be demonstrating and serving their favorite recipes from the cookbook, that they tasted at their Villa in Cortona. There are only a handful of spaces left for this class, so don't delay in registration. Wednesday October 18th @ 11:30 am. Cost: $69.99 + hst per person which includes a copy of Frances' cookbook. If something hands-on is more your style, join Karen and Linda at their Hands-On Pie Cooking Class on Tuesday October 24th. You will learn to make a pocket pie with a perfectly rich and ﬂaky crust everytime. They are amazingly versatile and great fare for breakfast, lunch and dinner. For more information, check out our calendar of events online at www.thevillegrocer.com. In the aftermath of Thanksgiving, your fridges are most likely loaded with turkey or ham, so we thought it best to change it up from our regulars and feature our highly underrated Tuna Salad Sandwich. This isn’t your typical run-of-the-mill tuna salad however, we load this on sliced Ancient Grain Bread with sliced red onion, avocado, bell pepper and head lettuce. Not only is it colourful, it’s also super tasty. Admittedly, I’m not a tuna salad guy, but there’s a super loyal customer, Harley, who comes to the store a few times a week and always asks us for one, which we started doing regularly just for him and it’s been selling well ever since. EACH Featured at: Also...don't miss out on Halibut and Chips on Friday! $11.99 a plate...best deal in town! BALLANTRAE PLAZA NIC VETERINARY CLINIC We are pleased to announce that Dr. Karen has graduated from the Veterinary Chiropractic Learning Centre. We are now offering Veterinary Spinal manipulative Therapy (VSMT) for small animals. VSMT is an alternative therapy which reduces pain and increases joint mobility by stimulating healthy neurological pathways and muscular activity. Keep your pet feeling his/her best! operation. In addition to the single-detached dwellings, 83 street townhouses on lots that have a frontage of 6.1 metres or greater are proposed along with 77 private lane townhouses. The school on the site is proposed to be a catholic elementary school. A plan has been developed to extend the heritage walkway from the north through the property to the 10th Line. An off-road multiuse trail is also proposed to connect with the Heritage Walkway. Compare car insurance quotes and save. $1.8 million in premiums saved this year and counting. No time for red tape on housing Earlier this year, Statistics Canada released data from the 2016 census that indicated a long predicted, but nonetheless startling change had occurred in our country’s demographics. "From 2011 to 2016, Canada registered the largest increase in the proportion of seniors since Confederation. This acceleration of population aging is the result of the first baby boomers reaching the age of 65," StatsCan reported. "For the first time, the share of seniors (16.9 per cent) - the share they represent of the total Canadian population - exceeded the share of children (16.6 per cent). The increase in the proportion of seniors from 2011 to 2016 was the largest observed since 1871 - a clear sign that Canada’s population is aging at a faster pace." In our news feature Senior Tsunami, Metroland Media looked at this change and its implications on housing for the average senior. We defined average as the range from having no additional income from a company pension or RRSPs (surviving solely on CPP and OAS benefits), to having a retirement pension or savings. In short, we focused on housing solutions for the middle-class senior; the one who can’t afford the average monthly cost of $3,526 for an Ontario retirement home (in the GTA, it is more than $4,700), but does not qualify for government-assisted housing. We also used a projection by the province’s ministry of finance that shows the senior population in much of central Ontario will more than double in the next 25 years. The results were frightening. Although we have watched the baby boomers ascend the population triangle year after year, we are ill-prepared to provide housing alternatives to match their income level. Several in-depth reports by the Canada Mortgage and Housing Corporation have forewarned of the impending crisis, but little in the form of solutions have taken shape. The province has been silent. In fact, we believe we are in a too-little, too-late situation for the Ontario government to show leadership on the issue of senior housing. We no longer have the luxury of time to meander the red tape of government. What we need are community-based, grassroots solutions. Ontario could offer surplus land or closed schools for senior housing developments. Municipalities, regional councils and provincial programs must collaborate to eliminate barriers, such as zoning and building bylaws, to pave the way for these alternatives. We need to work together to resolve this crisis. With 45,000 seniors across the country relying on food banks each month, we need to start today. 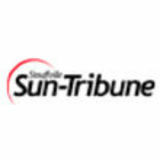 The Stouffville Sun-Tribune, published every Thursday, is a division of the Metroland Media Group Ltd., a wholly-owned subsidiary of Torstar Corporation. The Metroland family of newspapers is comprised of more than 100 community publications across Ontario. • LETTERS & COMMENTARY • Totem pole’s removal a missed opportunity Re: York board removing totem pole at Stouffville school after complaint, Sept. 29. A symbol gone, another missed opportunity. In 1974, my wife, Bernadine Mumford, a new teacher at Summitview Public School, engaged her Grade 6 class in an Indigenous study program (not on the curriculum). As part of this, the class, with much enthusiasm, carved a totem pole. It has stood proudly in front of Summitview since; a reminder of Indigenous peoples to those who note its presence. It provided a focal point of discussion for teachers who chose to use it. The class and Mrs. CONTACT US Letters to the editor All letters must be fewer than 200 words and include your name and telephone number for verification purposes. We reserve the right to edit, condense or reject letters. WHO WE ARE Delivery For all delivery inquiries, please e-mail customersupport@metroland. com or call 1-855-853-5613. ON NOW AT THE BRICK! Alexander Mackenzie H.S. at 7:00 p.m. Bayview S.S. at 7:00 p.m. Dr. G.W. Williams S.S. at 6:30 p.m. Maple H.S. at 6:30 p.m. Milliken Mills H.S. at 7:00 p.m.
For more details go instore or online @thebrick.com. Sunday, October 15 Service of Worship 10:00 a.m. Friday, October 13 ‘Believers’ choir practice 4:00 p.m. Deadline for submissions to the St. James’ newsletter. E-mail: jimmason905@ gmail.com Sunday, October 29 Anniversary celebration 10:00 a.m.
Sunday, October 15, 2017 9:45 am Sunday School 11:00 am Worship Service 6:30 pm Evening Service Everyone Welcome! Police make arrest in apparent case of serial spewing SIMONE JOSEPH sjoseph@yrmg.com York Regional Police have laid charges in an apparent case of serial spewing in Markham. A man in his early 40s was charged with three counts of mischief to property. He was arrested in Markham Friday at 5:15 p.m. A manager at Frankie Tomatto’s, an Italian all-you-caneat restaurant on Woodbine Avenue in Markham, had phoned police, most recently Friday morning. The restaurant had reported to police that over the past year, employees’ cars were covered with an oily liquid at lunch time between noon and 2 p.m. in the back parking lot. A customer had also complained of similar treatment to his car. restaurant then purposely vomiting on vehicles, said Sgt. Scott Hunter of York Regional Police. Police have not released the man’s name but say he is from Oshawa and is employed in the area of the restaurant. York Regional Police have laid charges in an apparent case of serial spewing in Markham. Give us two hours and we’ll give you a lifetime in return. During an open house, you will discover what over 500 families already know; we are more than a school. Visit HTS.ON.CA/TAKEATOUR for details. n unstoppable flood is headed our way. Ontario’s senior population is rising as baby boomers turn 65. Within 25 years, the number of seniors is projected to double to 4.6 million. At that time, one in every four people in this province will be a senior. While this massive wave of seniors has long been predicted, we are still ill prepared to provide housing to meet their needs. Muskoka resident Shelley Raymond encountered this problem 10 years ago while exploring options for her parents. "I found pretty much nothing outside of a retirement home, or long-term care, which are all booked to the nines. And hugely expensive," she said. The average monthly cost in an Ontario retirement home is $3,526, but you can pay more than $6,000 depending on where you live, states a 2017 seniors’ housing report by the Canada Mortgage and Housing Corporation. As your health declines, you’ll fork over more money for added care. "Retirement homes, in most cases, are profit-based and when you run out of money they will kick you out," Raymond said. "It’s already happening over and over again." Raymond was determined to find an alternative. Due to declining health, her mom moved into long-term care. Her dad couldn’t afford to stay in the family home, but refused to give up his independence. And Raymond worried he would outlive his money in a retirement home. Because Raymond’s grandfather died at an early age, his son chose living life to the fullest over saving for retirement. The responsibility to find an answer for her dad fell at Raymond’s feet because her two siblings lived far away. Raymond was crying about her plight to a friend in a Muskoka restaurant when a solution was born. The pair was talking about shared home ownership. The idea came to Raymond after she looked worldwide for an option that could give her dad independence, affordability, and social interaction. "A man sitting in the restaurant overheard me and he walked over and said ‘You can use my house because I have the same problem,’" Raymond said. Solterra Co-housing Ltd.
RETIREMENT INCOME CALCULATOR The Government of Canada has created a retirement income calculator to help you determine how Old Age Security pension and Canada Pension Plan will contribute to your future financial security. You can find the calculator online at tinyurl.com/ seniorstsunami. Muskoka resident Shelley Raymond fought to create this shared ownership home in Bracebridge for her dad and other seniors. She owns a company called Solterra Co-housing and plans to open more shared ownership homes to meet the needs of a growing number of seniors. 400 NEW SUBARUS IN STOCK & COMING. 2018 MODELS ARRIVING NOW! Visit Richmond Hill Subaru to test drive yours today. Hurry, offers end October 31, 2017! Financing and lease options available from 0.5% on select 2017 models, OAC. Other lease and finance rates and terms available. Down payment or equivalent trade-in may be required. Leasing and financing programs available through Subaru Financial Services by TCCI. Lease or finance cash of $750 available on select 2017 models. Vehicles shown solely for purposes of illustration, and may not be equipped exactly as shown. Up to $3000 cash credit available with the cash purchase of select 2017 models. See NewRoads Richmond Hill Subaru for full details. By Sam Potter IF YOU suffer from low back pain and sciatica, you are one of over 10 million adults in Canada with this often crippling spinal condition. Shooting, stabbing and burning pains from the low back, sometimes with additional pain through the buttocks and down the legs are all symptoms of pinched nerves often called “sciatica”. In severe cases, it can lead to muscle wasting, numbness and constant tingling down to the tip of the toes. Left untreated, the intense pain can rapidly wear you down and drain the joy out of life. That is, until now... Recent advances in the treatment of sciatica and lower back pain have led to the development and huge success of Advanced Biostructural Correction Technique. The excellent results of chiropractic treatment have been published in major medical journals. With great success rates. Some back surgeons and medical doctors are recommending their patients try this treatment first before having back surgery. In Markham, you can try Advanced Bio-Structural Correction Spinal Care at the Elite Care Chiropractic – the office of low back pain and sciatica relief Chiropractor Zunaid Kagdi D.C. Zunaid and his team of fully trained spinal care specialists have helped over 1,000 patients find relief from their agonising back pain and sciatica. Amazing relief for back pain and sciatica low back pain and sciatica; and a unique programme for reconstructing the damaged area causing the pain; this means long-term results for most people.” Because the treatment is non-surgical, safe and easy, most patients report an almost immediate relief from their pain. Patient Sean M. from Richmond Hill says, “My back pain was unbearable but the worst thing was the searing burning pain I felt in my buttock and leg. I couldn’t work or do anything useful and the drugs my MD prescribed hardly did anything. My wife insisted I respond to one of these ads, I thought it would be a total waste of time, but I’m so glad she kept on at me. Thank god I called your number, I’m 95% better in just a couple of weeks.” Your invitation for a comprehensive consultation and examination to pinpoint the cause of your low back pain and sciatica... Markham on Thursday has teamed up with the spine therapy Chiropractor at Elite Care Chiropractic, to help readers find relief from their persistent back and sciatic pain. All you have to do to receive a thorough diagnostic examination with the advanced technology and a comprehensive easy to understand report on your state of health is call 905-554-8444. Mention this article (CODE: LOW5444) and Zunaid will happily reduce his usual consultation fee of $167 to just $27. But hurry, due to obvious reasons – this is a time limited offer. My advice, don’t suffer a moment longer... Find out if Non-Surgical Advanced Biostructural Correction can help you, book a consultation with Zunaid and his team now by calling 905-554-8444, they are waiting to take your call today. They actually treat the cause of your health problem, not just your symptoms. That’s why hundreds of grateful patients tell them “Chiropractic gave me back my life!” Over the years, they’ve treated thousands of patients with back problems and sciatica. The vast majority of them have enjoyed superior, lasting relief. In fact, many who’ve suffered and have tried other remedies have told them they gave them back their lives! Call them now and get a full and thorough examination to pinpoint the cause of your problem for just $27, the normal cost of such an exam is $167 so you will save $140! Don’t suffer from the pain and immobility any longer. Discover the natural treatment that can eliminate the cause of your problem and give you the safe, lasting relief you deserve. Call them now at 905-554-8444 and cut out or tear off this valuable article now and take it to your appointment. You’ll be entitled to a comprehensive examination to diagnose the cause of your problem – and you’ll be on your way to safe, lasting relief! Don’t delay your important diagnosis and treatment another moment! You can even call on the weekend and leave a message on their answer machine to secure your spot as they promise to return all calls; and during the week they are very busy, so if they don’t pick up straight away do leave a message. NO MONEY MON DOWN AYMENTS NO PAY INTEREST NO IN Don’t Pay y Anything until til 20 2019 O.A.C. Take advantage of this limited time offer! *Applies to new orders only. Some restrictions apply. Not available with any other offer or promotion. Enter Yourself to WIN A $25,000 HOME MAKEOVER. Take advantage of this limited time offer! *Applies to new orders only. Some restrictions apply. Not available with any other offer or promotion. Enter today at: BROCKWINDOWS.COM *Prizing includes windows, exterior doors, siding, eavestrough, fascia and installation services. Over 27 years experience, over 70,000 installs and 1000s of satisfied customers. October 15 to 21 Whitchurch-Stouffville Public Library Inspiring curiosity, engaging the community, sharing knowledge! Did you know? You can now recycle your liquid cooking oil free of charge. “Bedside Manners” Used cooking oil does not go in the garbage or down the drain. Small amounts of cooking oil can be placed in the green bin. Bring larger amounts in a tightly sealed container, measuring less than four litres in size, to a waste depot where it will be disposed of safely. (With this Coupon) Space provided through a partnership between industry and Ontario municipalities to support waste diversion programs. Set in the country-side just a few minutes from you, you will dine in the Bull Pen or the Manger of a century old dairy barn, and sit in a theatre seat that came from the Historic Victory Burlesque Theatre in Toronto. Try our Fresh Salad Bar & mouthwatering Desserts, Herongate treats you to award-winning gourmet home cooking with every show! Choose from delicious Roast Beef, Savory Chicken or Divine Vegetarian offerings - or try some of everything! The hit comedy ‘Bedside Manners’ will have you laughing from opening curtain till the hilarious close and is onstage on Thursday, Friday & Saturday evenings or come out for a Sunday Matinee. council deferred a decision to do engineering work on whistle cessation on the two crossings until 2018. Some councillors didn’t mince words with what they thought about stopping the train whistles. "The reality is the whistles and noise save lives," Ward 3 Coun. Hugo Kroon said. "We are going in the wrong direction. No way I’m going to support whistle cessation. My residents’ lives are far too valuable." Thank you for your participation in this study. Personal information submitted (e.g. name, address, phone number) is collected, maintained and disclosed under the authority of the Environmental Assessment Act and the Municipal Freedom of Information and Protection of Privacy Act for transparency and consultation purposes. Personal information you submit will become part of a public record available to the general public, unless you request that your personal information remain confidential. den to your Basket® h until Wednesday, October 18th, 2017 CASE SALE!!! : Mon. – Wed. 8 :00 a.m. – 9:00 p.m.; Thurs. – Fri. 8:00 a.m. – 9:30 p.m.; Saturday 7:00 a.m. – 8:00 p.m.; Sunday. 8:00 a.m. – 7:00 p.m.
We reserve the right to limit quantities. No rainchecks. Savings based on regular prices at conventional The Garden Basket Food Markets. Although we strive for accuracy in both copy and illustrations, errors may occur. We reserve the right to correct any errors. Specials only available while quantities last. Photos are representational only. Don’t worry that you’ll lose your green thumb, though: some residents like to help with light gardening. Do you like your privacy? Amica residences are condo-like settings where all residents have their own studio, one-bedroom or two-bedroom suites with your own bathroom. Do you enjoy hobbies and pastimes? Since we handle groceries, meals, housekeeping, linen service, yard work and maintenance, you’ll have more time for socializing, keeping in touch with family, volunteering and more. Do you value your independence and freedom? This is a big one. At Amica, you live each day your way, just like you would in your own home. You set your schedule, come and go as you please, decide what and when to eat, etc. Professional, caring staff are on call 24/7 if you need a hand. Do you appreciate good food? Amica’s dining room is like a restaurant where the servers are friendly, the food is delicious and nutritious and the menu changes every day. Every month you’ll get to select from 112 different entrees, 56 soups and 56 desserts! Our culinary teams also take requests and cook for special diets. Do you feel ready to hand over household maintenance? Seniors commonly choose Amica when they don’t want to cook and clean anymore or they’re ﬁnding it a challenge. Do you like staying active? All Amica communities have ﬁtness centres and exercise classes for a variety of abilities. And you don’t need to leave the community: the facilities are right on site. Do you like having fun things to do? It’s tough to ﬁnd yourself bored at Amica: seniors enjoy events and outings organized by staff based on what residents in each community like to do. Examples may include happy hours, musical performances, guest lectures, excursions or shopping outings. There’s no pressure to join: all recreation programs are voluntary. Did you know you can try premium senior living to see if you like it? Book a visit at Amica.ca and ask about a trial stay. EVENTS l Thursday, October 12 MBT Breakfast Networking WHEN: 7:15 a.m - 9:00 a.m WHERE: Station Creek Golf Club, 12657 Woodbine Ave., Whitchurch-Stouffville CONTACT: Erica Fraser, 289-844-3024, events@markhamboard.com, http://bit.ly/BKN_Oct2017 COST: Members: $27.50 + HST - NonMembers: $42.50 + HST Start your day by joining us for a delicious breakfast and meetand-greet with like-minded business owners and their teams. Tour is an event you don’t want to miss.Our members are all juried participants. Electronics Recycling Event Stouffville WHEN: 10:00 a.m - 2:00 p.m WHERE: Whitchurch-Stouffville Municipal Office, 111 Sandiford Drive, Whitchurch-Stouffville CONTACT: Lori McNaughton, 905-640-1910, http://calendar.townofws.ca/default/Detail/2017-10-14-1000-Electronics-Recycling-Event COST: Recycle your unwanted electronics! Electronics are banned from curbside collection, by bringing your electronics to our event, your items can be recycled! OktoberFair WHEN: 12:00 p.m - 7:00 p.m WHERE: Memorial Park, Memorial Park Whtichurch-Stouffville, Whitchurch-Stouffville CONTACT: sarah.farrant@townofws.ca COST: TBA Oktoberfest meets fall fair celebrations during this annual festival. Enjoy great food, entertainment, contests, music and more. Pickering College’s Global Leadership Program strikes the ideal balance between challenging students to develop critical thinking and real-world life skills that can be applied to their university career and beyond. Wednesday, October 18 6:30 p.m. to 8:00 p.m. (JK to Grade 11) FAMILIES OF STUDENTS IN GRADES 5-7 Please join us for a special session on our Middle School program, beginning at 7:30 p.m.
Gorgeous, Rarely Offered And Uniquely Designed Mattamy Towngate Model Located On Quiet Cul De Sac In Heart Of Stouffville. Over 2400 Sq.Ft Of Fully Loaded Space W/Lots Of Upgrades.9 Ft Ceiling & Maple Hardwood Floors On Main. Maple Staircases. Great Rm W/14 Ft Cathedral Ceiling & W/O To Balcony Over Looks Greenspace. Open Concept, Kitchen W/Stainless Appliances, Centre Island, Granite Countertops & Upgraded Cabinetry. Main Floor Laundry. Huge Master Bedroom With Glass Shower And Jetted Tub. KELLY BURROWS* Off: 905-640-0888 Dir: 416-990-2682 Sutton Group Heritage Realty Inc. Call Michelle Gerrard 647-226-0411 for more info today!! Well maintained & beautiful 4 bedroom, 3 bath family home on a quiet street of Rouge Fairways. Spacious principal rooms inc master br w/ 5 pce ensuite, main flr fam room, large kitchen w/ granite & walk-out to deck & fenced yard. Convenient main flr laundry w/garage access. Close to schools, parks & amenities! Great house, great price, great neighbourhood. 2 Thomas Kinnear court Markham. Lovingly maintained & upgraded four bedroom home. Updated 3 pc ensuite & main bath. Eat in Paris kitchen, main floor family room with gas fireplace and walk out to patio. Hardwood floor thruout. Finished basement with rec room + 2 pce washroom. Nicely landscaped including sprinkler system Across from huge ravine and walking trails. Walk to school, playground, library + sports centre. Then you must see this one!!. The kitchen, baths, staircase with open risers, arched doorways, and exquisite wall/ceiling trim will all amaze you because they are truly EXCEPTIONAL! This new, custom built home is loaded!! A superb, stunning home near bus, schools, shops. Call for details. Outstanding opportunity!! Picture Perfect! Stunning One of a Kind Custom 4 Bedroom Home with Inground pool in Sought After Sherwood Estates! Over 2500 sqft plus Finished Basement boasts Many Exceptional Features including its own Private Elevator & Wide fit Shower making it fully accessible! Custom Renovated Kitchen and Bathrooms! Direct Access to 2 Car Garage, Large 2nd floor Laundry Room! Harwood Floors throughout! Offering Exquisite Landscaping, Stonework, Patio & Deck, Inground pool! Enjoy View from Inside or Step Out into the Garden!! Floor to Ceiling Windows and Walk-outs brings Natural Light throughout! Outstanding Lot First Time On The Market. This Meticulously Kept 1,932 Sq Ft 4 Bedroom Semi On A Beautiful Massive Fenced In Lot Offers Hardwood Floors, Quartz Counters, Oversized Sink, Breakfast Bar And Walkout To Deck. Family Room With Gas Fireplace, Large Window Overlooking Backyard. Finished Basement Which Offers A Kitchenette, Bedroom Plus 3Pc Washroom. Don’t Miss Out On This Gem! One of a kind. Live on Historic Main Street Unionville. Approx. 2,949 sq. ft. of luxury. Huge lot. Award winning addition on back of home. Totally upgraded top to bottom. Professionally finished lower level. Home restored by European Masters. 4 Bed, 4 Bath Dir/Cross St:Apple Creek/ Rodick Lovely Home At Beautiful luxurious detached home. Close to top ranking schools, Warden/Apple Creek, Walk To Unionville High School, Tenant To park & shops. Upgraded through-out. Move in condition. Central Pay All Utilities. No Smokers, No Pets. Air & 5 appliances included. Highly desired Angus Glen East Village. Approx. 3,023 sq. ft. of luxury. Upgrades galore. 3rd story loft. Fabulous back garden with in-ground pool. Very desirable model. $1,988,000 Mins. to Main Street, Unionville. Unbelievable Home!! Walk to Main St., Go Train & Shops in Markham Village. Spacious Lot 50ft x 132ft On One of the Most Desirable & Oldest Streets in Markham. Newer Detached Double Car Garage. Walk to Schools, Parks and Public Transit. LAKEFRONT LIVING! COUNTRY CLOSE TO THE CITY! *THE DARYL KING TEAM CONSISTS OF 43 REGISTERED SALES REPRESENTATIVES. **FOR ROYAL LEPAGE YOUR COMMUNITY REALTY, BASED ON REAL ESTATE SALES IN 2016. ***FOR ROYAL LEPAGE, BASED ON REAL ESTATE SALES OF INDEPENDENTLY OWNED & OPERATED FRANCHISES IN 2016. NOT INTENDED TO SOLICIT PROPERTIES CURRENTLY UNDER A CONTRACT WITH ANOTHER BROKERAGE. NOMINATE YOUR FAVOURITES! The Stouffville Sun Tribune is on the lookout for the top local, independently owned businesses in our community, and once again, we need your help in ﬁnding them. Every year, our readers cast their votes for their favourite businesses. From restaurants to travel agencies, pet grooming to private schools, grocery stores to landscaping companies, and everything in between. This year you will be given the chance to nominate your favourite businesses! All nominees will appear in paper and online starting January 25, 2017 and you will then have the opportunity to vote for your favourites to win! This is your opportunity to let Stouffville’s diverse business community- as well as every household- know which local, independently owned retailers and service providers are leading the way. Nominees will be showcased in a special section of the newspaper in January. vote online at www.yorkregion.com by clicking the Reader’s Choice button across the top of the page. Best Automotive Auto Body Shop Auto Parts Store Auto Service Car Wash Domestic Car Dealership Import Car Dealership Mechanic Mufﬂer Shop New Car Salesperson Oil Change/Lube Tire Store Transmission Shop Used Car Salesperson Name: _________________________________________ Address: ______________________________________ ________________________________________________ Postal Code: ___________________________________ Phone: ________________________________________ c/o Readers’ Choice Stouffville Sun Tribune 580B Steven Crt, Newmarket, ON L3Y 6Z2 Voting Rules: 1. You must be 18 years of age or older to enter. 2. No photocopies of this ballot will be accepted. Additional entries will disqualify all prior votes. 3. Entries must be received by 11:59 pm., November 2, 2017. 4. Survey results do not reﬂect the views of Metroland Media Group or its newspapers. 5. Form must contain a minimum of 25 votes to qualify 6. Must be a resident of Ontario 7. This is a nomination round only - no prizes will be awarded. 8. Only nominations for local, independently owned businesses will be accepted. Voting closes November 2, 2017 at 11:59 pm. 0% for 84 months is only available on select 2017 models. Finance Example: $25,000 @ 0% for 84 mos. = $297.61 per month. Total obligation $25,000. Total Interest $0. 0% cannot be combined with 20% of MSRP offer. 20%/15% of MSRP is available on cash purchases only from select 2017 GM models from inventory. Limited time only. HST and license extra. 60 Day Money Back Guarantee only available on select models â&#x20AC;&#x201C; restrictions apply, see Markville Chevrolet representative for details. Med+ Home Health Care manager Ron Wiskin (left) and homeowner Sandra Sexton stands in the acessible bathroom being built at her Hendon Avenue home, on Monday, Sept. 25, that will accommodate her husband and aging parents. Four alternative housing options for Ontario seniors High efficiency water softeners for every budget. Metroland Media explored four housing options for seniors: co-housing with a stranger, co-housing with family, retiring in Elliot Lake and renovating to add accessible features with help from government grants. 1. GO NORTH When Barrie’s Annamarie Sugar and her husband, Don Ough, began searching for a place to enjoy retirement, they wanted a small, quiet community with affordable housing costs. The hunt took them to Elliot Lake between Sudbury and Sault Ste. Marie "Barrie was a nice small town when we moved there," Sugar said. "Now, it’s just too big, too noisy, too many people." Sugar and her husband aren’t alone in choosing the community, thanks to a marketing campaign aimed at attracting retirees. Read more at tinyurl.com/seniorstsunaminorth. 2. FULL HOUSE For 25 years, as he and his wife, Donna, were raising their three children, Matthew Penstone’s widowed mother-in-law, Alice, lived with the family. And then Penstone’s father, George, also moved into the family’s Aurora home. looking for housing. Discussions around housing and how it relates to seniors tended to focus on how a number of their aging residents wished to stay in their homes but were finding it difficult to maintain them without help. Read more at tinyurl.com/seniorstsunamihomeshare. 4. FUTURE RENOVATIONS Sandra and Dan Sexton are doing the kind of work on their North York home that usually comes much later in life. In their 40s, the couple is working with Ronny Wiskin, a specialist in home renovation for accessibility, through the Toronto-based Med+ Home Healthcare company. The company assists homeowners to modify environments using universal design principles - a seven-point checklist that balances esthetics and comfort with accessibility for people who might be confined to a wheelchair, or have other mobility issues. "It’s the design of products and environments that are usable by people of all abilities," Wiskin said. Read more at tinyurl.com/seniorstsunamiaccessible. As part of Regional Express Rail, Metrolinx is proposing to electrify GO-owned corridors. The GO Rail Network Electrification undertaking will entail design and implementation of a traction power supply system and power distribution components including: an Overhead Contact System (OCS) along the rail corridors, electrical feeder routes, and a number of traction power facilities located within the vicinity of the rail corridors. The Study Area (see key map) includes six GO rail corridors, as well as proposed locations for the traction power facilities (i.e., Traction Power Substations, Paralleling Stations, Switching Stations) and ancillary components: • Union Station Rail Corridor – UP Express Union Station to Don Yard Layover - No Traction Power Facilities • Lakeshore West Corridor – West of Bathurst St. (Mile 1.20) to Burlington - Including two (2) Tap locations, four (4) Traction Power Facilities, one (1) feeder route • Kitchener Corridor – UP Express Spur (at Highway 427) to Bramalea - Including one (1) Traction Power Facility, one (1) feeder route • Barrie Corridor – Parkdale Junction to Allandale GO Station - Including one (1) Tap location, four (4) Traction Power Facilities, one (1) feeder route • Stouffville Corridor – Scarborough Junction to Lincolnville GO Station - Including one (1) Tap location, three (3) Traction Power Facilities, one (1) feeder route • Lakeshore East Corridor – Don River Layover to Oshawa GO Station - Including one (1) Tap location, four (4) Traction Power Facilities, one (1) feeder route 30-Day Public Review – October 11 to November 9 The environmental impact of this transit project was assessed and an EPR prepared in accordance with the Transit Project Assessment Process (TPAP) as prescribed in Ontario Regulation 231/08 - Transit Projects and Metrolinx Undertakings (made under the Environmental Assessment Act). The EPR for the GO Rail Network Electrification is now available for a 30-day public review period starting October 11, 2017 on the project website (www.gotransit.com/electrification) and at the following locations: Ministry of the Environment and Climate Change Central Region Office Metro Toronto District Office 5775 Yonge Street, 8th Floor North York, ON M2M 4J1 tel: 416-326-6700 Monday to Friday: 8:30 a.m. - 5:00 p.m.
Ministry of the Environment and Climate Change Environmental Approvals, Access and Service Integration Branch 135 St. Clair Avenue West, 1st Floor Toronto, ON M4V 1P5 tel: 416-314-8001 / toll-free: 1-800-461-6290 Monday to Friday: 8:30 a.m. - 5:00 p.m.
Newmarket Public Library 438 Park Avenue Newmarket, ON L3Y 1W1 tel: 905-953-5110 Tuesday to Thursday: 9:30 a.m. - 9:00 p.m. Friday & Saturday: 9:30 a.m. - 5:00 p.m. Sunday: 1:00 p.m. - 5:00 p.m. Downtown Barrie Public Library 60 Worsley Street Barrie, ON L4M 1L6 tel: 705-728-1010 Monday to Thursday: 9:30 a.m. - 9:00 p.m. Friday & Saturday: 9:30 a.m. - 5:00 p.m. Sunday: 12:00 p.m. - 5:00 p.m.
Pickering Library Central Branch 1 The Esplanade S. Pickering, ON L1V 6K7 tel: 905-831-6265 Monday to Friday: 9:30 a.m. - 9:00 p.m. Saturday: 9:00 a.m. - 5:00 p.m. Sunday: 1:00 p.m. - 5:00 p.m.
Metrolinx Head Office 97 Front Street – 2nd Floor Reception Toronto, ON M5J 1E6 tel: 416-874-5900 Monday to Friday: 8:30 a.m. - 4:30 p.m.
Brampton Library Chinguacousy Branch 150 Central Park Drive Brampton, ON L6T 2T9 tel: 905-793-4636 Monday to Thursday: 10:00 a.m. - 9:00 p.m. Friday: 10:00 a.m. - 6:00 p.m. Saturday: 10:00 a.m. - 5:00 p.m. Sunday: 1:00 p.m. - 5:00 p.m.
Scarborough Civic Centre Library 156 Borough Drive Scarborough, ON M1P 4N7 tel: 416-396-3599 Monday to Thursday: 9:00 a.m. - 8:30 p.m. Friday & Saturday: 9:00 a.m. - 5:00 p.m. Sunday: 1:30 p.m. - 5:00 p.m.
Mimico Centennial Library 47 Station Road Etobicoke, ON M8V 2R1 tel: 416-394-5330 Tuesday & Wednesday: 12:30 p.m. - 8:30 p.m. Thursday & Friday: 10:00 a.m. - 6:00 p.m. Saturday: 9:00 a.m. - 5:00 p.m.
Oakville Public Library – Central Branch 120 Navy Street Oakville, ON L6J 2Z4 tel: 905-815-2042 Monday to Thursday: 10:00 a.m. - 8:00 p.m. Friday & Saturday: 10:00 a.m. - 5:00 p.m. Sunday: 1:00 p.m. - 5:00 p.m.
Markham Public Library 3990 Major Mackenzie Drive East Markham, ON L6C 1P8 tel: 905-513-7977 Monday to Thursday: 9:30 a.m. - 9:00 p.m. Friday: 9:30 a.m. - 5:00 p.m. Saturday: 9:00 a.m. - 5:00 p.m. Sunday: 1:00 p.m. - 5:00 p.m.
Whitchurch-Stouffville Public Library 175 Mostar Street Whitchurch-Stouffville, ON L4A 0Y2 tel: 905-642-7323 Monday to Thursday: 10:00 a.m. - 8:30 p.m. Friday: 10:00 a.m. - 6:00 p.m. Saturday: 10:00 a.m. - 5:00 p.m. Sunday: 12:00 p.m. - 5:00 p.m. There are circumstances where the Minister of the Environment and Climate Change has the authority to require further consideration of the transit project or impose conditions on it. These include if the Minister is of the opinion that: • The transit project may have a negative impact on a matter of provincial importance that relates to the natural environment or has cultural heritage value or interest; or • The transit project may have a negative impact on a constitutionally protected Aboriginal or treaty right. Before exercising the authority referred to above, the Minister is required to consider any written objections to the transit project that he or she may receive within 30 days after the Notice of Completion of the EPR is first published. If you have discussed your issues with the proponent(s) and you object to the project, you can provide a written submission to the Minister of the Environment and Climate Change by no later than November 9, 2017 to the address provided below. All submissions must clearly indicate that an objection is being submitted and describe any negative impacts to matters of provincial importance (natural/cultural environment) or Aboriginal rights. Ministry of the Environment and Climate Change Environmental Approvals Branch Attn: Adam Sanzo, Project Officer 135 St. Clair Avenue West, 1st Floor Toronto, ON M4V 1P5 tel: 416-314-8001 / toll-free: 1-800-461-6290 fax: 416-314-8452 e-mail: EAABGen@ontario.ca All personal information included in a submission such as name, address, telephone number, email address, and property location – is collected, maintained and disclosed by the Ministry of the Environment and Climate Change for the purpose of transparency and consultation. The information is collected under the authority of the Environmental Assessment Act or is collected and maintained for the purpose of creating a record that is available to the general public as described in s. 37 of the Freedom of Information and Protection of Privacy Act. Personal information you submit will become part of a public record that is available to the general public unless you request that your personal information remain confidential. For more information, please contact the Project Officer or the Ministry of the Environment and Climate Change Freedom of Information and Privacy Coordinator at 416-314-4075. This Notice first issued on October 11, 2017.
on the purchase of 5 or MORE qualifying KitchenAid® Appliances** Offer valid only at participating authorized KitchenAid® appliance dealers. Some restrictions apply. See Sales Associate or visit KitchenAid.ca for instant savings details and list of available qualifying models. $ Purchase select Bosch appliances and receive up to $3,300 in instant rebates. PLUS! Save up to 30% on select Frigidaire Gallery and Frigidaire Professional Appliances. Please note: While Goemans Appliances is committed to accurate pricing, Goemans reserves the right to correct any errors that may occur. All correction notices for errors in this flyer will be illustrated flyer may not b be e posted d in our stores. Products P d ll d in this h fl i S Store S f Details. D il * Installation I ll i includes i l d up to 20 feet f exactly as shown and unfortunately not all products may be available at each location. Goemans reserves the right to limit quantities. Prices shown reflect reduction off Goemans regular prices. See for off gas lines, main floor installation. Final price based on pre-inspection. Prices do not include optional mantles, surrounds, or accessories. Fireplaces only available at Stoney Creek and St. Catharines showrooms. *Savings based on MSRP. Stay Connected Your feedback and community perspective are important. Residents, agencies and other interested persons are encouraged to find out more and ask questions at any time during the Project. For more information or to be added to the project mailing list, please contact: Georgina Collymore Senior Advisor, Environmental Assessment Communications & Community Relations Metrolinx 10 Bay Street, Toronto, ON M5J 2W3 tel: 416-202-4921 e-mail: lincolnville@metrolinx.com website: metrolinx.com/lincolnville When the TPAP formally begins, feedback and comments will be included in the final EPR that is presented to the Minister of the Environment and Climate Change for approval. Comments and information regarding this Project are being collected to assist in meeting the requirements of the Environmental Assessment Act. All personal information included in a submission – such as name, address, telephone number and property location – is collected, maintained and disclosed by the Ministry of the Environment and Climate Change for the purpose of transparency and consultation. The information is collected under the authority of the Environmental Assessment Act or is collected and maintained for the purpose of creating a record that is available to the general public as described in s. 37 of the Freedom of Information and Protection of Privacy Act. Personal information you submit will become part of a public record that is available to the general public unless you request that your personal information remain confidential. For more information, please contact Georgina Collymore (contact information above) or the Ministry of the Environment and Climate Change Freedom of Information and Privacy Coordinator at 416-327-1434. Pour plus de renseignements, veuillez composer le 1 888 GET-ON-GO (438-6646). Metrolinx is working to provide residents and businesses in the GTHA with a transportation system that is modern, efficient and integrated. Find out more about Metrolinx’s Regional Transportation Plan for the GTHA as well as GO Transit, PRESTO, and Union Pearson Express, divisions of Metrolinx, at www.metrolinx.com This notice first published on October 12, 2017. Stouffville Cares is saying a big thank you to its supporters. Stouffville Cares is thankful! JIM MASON With Thanksgiving weekend upon us, the executive committee of Stouffville Cares would like to send out a big thank you to all of our supporters. Our community refugee sponsorship organization recently received a few surprise donations, which made our hearts full with gratitude and thanks. Our family, which arrived in Stouffville from Syria via Jordan in March 2016, is as fabulous as ever. The kids are all back at school after a summer of soccer and swimming and playing with their friends. Each day, we see that they need less assistance from Stouffville Cares and are managing quite well on their own. This independence is what we had all hoped for and we are thankful to see things falling into place, as they should. Although we have no news on when the extended family we hope to sponsor will arrive, we do know that as each day passes it means it is one day closer to us welcoming them into our community. We are hoping that three more families of relatives will soon call Stouffville their home and down the road we hope to help another member of the family move here, too. The refugee sponsorship application process is a lengthy and thorough process and it takes time and patience as we wait for any new updates. We have begun to realize that Stouffville Cares will be around for many years to come as we help our family and their relatives settle here in Canada. We are truly thankful to all our volunteers and to those who continue to donate to Stouffville Cares. There is always a need for ESL and homework volunteers so please let us know if you would like to help. We currently have enough furniture in storage for now but will most likely be looking for very specific items once the extended family arrives. May the colours of the fall leaves bring you much joy. Many thanks from Stouffville Cares! For more information, call 905-640-3151 or email info@stouffvillecares.ca. It was the night of the 2013 Superbowl when more than 2,000 gathered at Markham’s Le Parc Banquet Hall to party and gamble, allegedly illegally. The problem for the attendees was that hundreds of cops from six police forces, including York Regional Police, joined as part of the Combined Forces Special Enforcement Unit to bust the illegal online gambling website Platinum Sports Book’s party in a spectacular fashion. Found that day were a trove of goods, according to police, including $1.6 million in cash, handguns, ledgers, bank statements and documents that police say belonged to criminal organizations. A financial audit of the seized betting records said between 2009 and 2013 PlatinumSB grossed more than $103 million. It allegedly used toll-free phones lines and website based in Costa Rica. Following the raid, 18 people were charged, a number of them from York Region. Among them was Bill Miller, a former member of Hells Angels. Last week, Miller was sentenced to 15 months behind bars. He is not the first man, who Justice Michael Brown said was in a "leadership role", to be punished as a result of PlatinumSB, according to The Toronto Sun. Gordon Baird, the "technical guru" behind the website police said was linked to the Mafia and Hells Angels, was given house arrest for 18-months and also paid a $400,000 fine in September 2016. Also sentenced was William Yu, from Thornhill, who was given a suspended sentence, a fine of $50,000 and 12 months probation. Two alleged Hells Angels’ associates of Baird, Andrew Bielli and Rob Barletta, also faced charges, but had different outcomes. Bielli was sentenced to 15 months in jail for committing an offence for a criminal organization while Barletta had his charges withdrawn. George Pandemenos, from Richmond Hill, Abraham Diles, from Stouffville, Vincenzo Russo, from Aurora, all had their book making and gambling charges withdrawn. Bing Gao, from Markham, also had his charges withdrawn. THE MOST CAPABLE F-150 EVER. Available in most new Ford vehicles with 6-month pre-paid subscription. Vehicle(s) may be shown with optional equipment. Dealer may sell or lease for less. Limited time offers. Offers only valid at participating dealers. Retail offers may be cancelled or changed at any time without notice. See your Ford Dealer for complete details or call the Ford Customer Relationship Centre at 1-800-565-3673. For factory orders, a customer may either take advantage of eligible raincheckable Ford retail customer promotional incentives/offers available at the time of vehicle factory order or time of vehicle delivery, but not both or combinations thereof. Retail offers not combinable with any CPA/GPC or Daily Rental incentives, the Commercial Upfit Program or the Commercial Fleet Incentive Program (CFIP). ^Until November 16, 2017 and from November 28 to 30, 2017, lease a new 2018 F-150 SuperCrew XLT 4X4 300A 5.0L with Trailer Towing Package for up to 36 months and get 0.99% APR on approved credit (OAC) from Ford Credit Canada Company. Not all buyers will qualify for the lowest APR payment. Lease with a value of $40,036 (after $3,350 down payment or equivalent trade in and $3,000 manufacturer rebate deducted and including freight and air tax of $1,900) at 0.99% APR for up to 36 months with an optional buyout of $24,438, monthly payment is $432 (the sum of twelve (12) monthly payments divided by 26 periods gives payee an every two weeks payment of $199, total lease obligation is $ 18,884.15, interest cost of leasing is $936.86 or 0.99% APR. Taxes payable on full amount of total lease financing price after Manufacturer Rebate has been deducted. Offers include freight, air tax, and PPSA but exclude administration and registration fees of up to $799, fuel fill charge of up to $120 and all applicable taxes. Additional payments required for optional features, license, and insurance. All prices are based on Manufacturer’s Suggested Retail Price. Some conditions and mileage restriction of 60,000 km for 36 months applies. Excess kilometrage charges are 16¢ per km, plus applicable taxes. Excess kilometrage charges subject to change, see your local dealer for details. All prices are based on Manufacturer’s Suggested Retail Price. *Until November 16, 2017, and from November 28–30, 2017, receive 0% APR purchase financing on new 2017 Escape or 2018 F-150 (excluding Raptor) for up to 72 months to qualified retail customers, on approved credit (OAC) from Ford Credit Canada Company. Not all buyers will qualify for the lowest interest rate. Example: $35,000 purchase financed at 0% APR for 72 months, monthly payment is $486.11, cost of borrowing is $0 or APR of 0% and total to be repaid is $35,000. Down payment on purchase financing offers may be required based on approved credit from Ford Credit Canada Company. ‡Offer valid from October 3, 2017 to October 31, 2017 (the “Program Period”), to Canadian resident customers who, during the Program Period, own or are leasing a Ford SUV including Escape, Edge, Explorer, Flex, Expedition, Explorer Sport Trac, Explorer Sport, and Excursion (each, a “Qualifying Loyalty Model”). Qualifying customers are eligible to receive CAD$750 towards a purchase, lease of a new 2017 or 2018 Escape, Edge, Explorer, and Expedition (each an “Eligible Vehicle”). Qualifying Loyalty Models must have been registered or insured (in Canada) in the qualifying customer’s name for the three (3) consecutive months preceding the date of offer redemption. Eligible Vehicle must be delivered or factory-ordered from your participating Ford dealer during the Program Period. Limit one (1) offer redemption per Eligible Vehicle purchase or lease per Qualifying Loyalty Model, up to a maximum of two (2) separate Eligible Vehicle purchases or leases. Each customer will be required to provide proof of ownership/registration and insurance of the applicable Qualifying Loyalty Model (in Canada) for the previous 3 months and the ownership/registration address must match the address on the new Buyer’s Agreement or Lease Agreement for the Eligible Vehicle sale. Offer is transferable to persons domiciled with qualifying customer. Offer amount may be used as a down payment or received as a rebate cheque from Ford of Canada, but not both. Taxes payable before offer is applied. Offer is not combinable with CPA, GPC, Daily Rental Allowances, Commercial Fleet Incentive Program (CFIP), Commercial Upfit Incentive Program, Focus and Fiesta Trade Up Program, and with other targeted offers. See dealer for details. **Receive a winter safety package, which includes: four (4) winter tires, four (4) steel wheels (Edge receives aluminum wheels) and four (4) tire pressure monitoring system sensors when you purchase or lease any new 2017/2018 Ford Fiesta, Focus, Fusion (excluding Fusion Sport), C-Max, Escape, Edge (excluding Edge Sport), Explorer, Taurus, Flex, Expedition, F-150, F-250/F-350 SRW between October 3, 2017 and November 30, 2017. This offer is not applicable to any Fleet (other than small fleets with an eligible FIN) or Government customers and not combinable with CPA, GPC, CFIP or Daily Rental Allowances. Vehicle handling characteristics, tire load index and speed rating may not be the same as factory-supplied all-season tires. Winter tires are meant to be operated during winter conditions and may require a higher cold inflation pressure than all-season tires. Some conditions apply. Consult your Ford of Canada Dealer for details, including applicable warranty coverage. ≤Ford is the best-selling line of SUV in Canada, based on Canadian Vehicle Manufacturers’ Association statistical sales report up to year-end 2016 and YTD August 2017. ©2017 Sirius Canada Inc. “SiriusXM”, the SiriusXM logo, channel names and logos are trademarks of SiriusXM Radio Inc. and are used under licence. ©2017 Ford Motor Company of Canada, Limited. All rights reserved. WANT TO CREATE A MORE MENTALLY HEALTHY WORKPLACE, BUT AREN’T SURE OF THE NEXT STEP TO TAKE? No one delivers results like we do! Introducing MindsMatter - a free online tool that tells you how to support workplace mental health in under 3 minutes. WE HAVE A TRUCK AT EVERY STORE! VISIT US ONLINE AT BADBOY.CA! 5 LOCATIONS TO SERVE YOU BEST. Offers available from October 3 – October 31, 2017. *Representative finance offer based on a new 2017 Rogue S FWD(AA10)/2017 Sentra S MT/2017 Murano S FWD (AA10). Selling price is $27,520/$16,325/$32,170 financed at 0%/0%/0% APR equals 60/84/60 monthly payments of $459/$194/$536 monthly for an 60/84/60 month term. $0 down payment required. Cost of borrowing is $0 for a total obligation of $27,520/$16,325/$32,170. $350/$750/$1,200 Finance Cash included in advertised offers on 2017 Rogue S FWD(AA10)/2017 Sentra S MT/2017 Murano S FWD (AA10). +Standard Rate Finance Cash discount of $5,000/$5,000/$4,500 will be deducted from the negotiated selling price before taxes and is applicable only to customers financing any 2017 Sentra SR Turbo (RL00)/2017 Rogue SL/2017 Murano through NCF at standard rates. The cash discounts cannot be combined with lease or finance subvented rates or with any other offer. Certain conditions apply. 1$19,998 MSRP on a 2017 Qashqai S which does not include freight, fees and taxes. Prices not applicable to Quebec. Conditions apply. 2All-in selling price of $22,075 on 2017 Qashqai S FWD MT (D5RG57 AA00) includes freight and PDE charges, air-conditioning levy ($100) where applicable, tire tax, manufacturer’s rebate and dealer participation (where applicable). License and registration insurance are extra. Certain conditions apply. ▲Models shown $38,020/$28,025/$46,170/$31,575 selling price for a new 2017 Rogue SL Platinum (PL00)/2017 Sentra SR Turbo CVT Premium (RL00)/2017 Murano Platinum (AA00)/2017 Qashqai SL AWD (AA00). All Pricing includes Freight and PDE charges ($1,795/$1,600/$1,795/$1,950) air-conditioning levy ($100), applicable fees, tire tax, manufacturer’s rebate and dealer participation where applicable. License, registration, insurance and applicable taxes are extra. Offers are available on approved credit through Nissan Canada Finance for a limited time, may change without notice and cannot be combined with any other offers except stackable trading dollars. Vehicles and accessories are for illustration purposes only. See your participating Nissan retailer for complete details. Certain conditions apply. ©2017 Nissan Canada Inc.